Spy Guy is a hard-boiled funny book by Mike Kitchen that takes a look at the conspiracies and crime dramas that happen in the world around us from the vantage point of an undercover Toronto city cop. 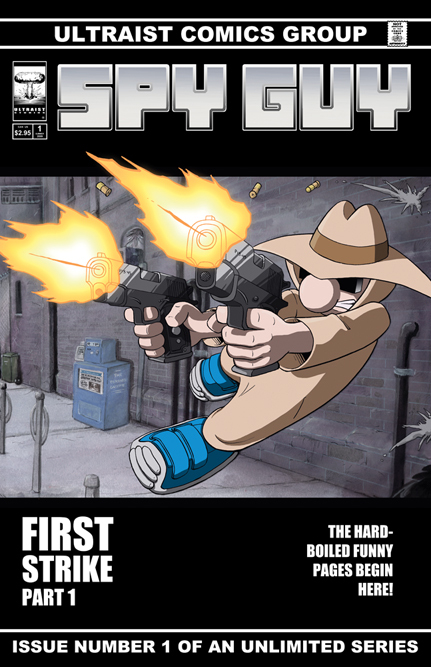 Inspired by classic newspaper comic strips, 1950's animated cartoons, 1970's comic books, 1980's action hero movies, modern politics and “ripped from the headlines” news, Spy Guy is done in a black and white independent / manga comic book style. Part mystery, part action-adventure, part social commentary, part satire, all fun! Read the new comic right here!